PHARR, TX (KTRK) -- Federal officials along the border in South Texas uncovered nearly 1,500 pounds of pot hidden on coconuts. 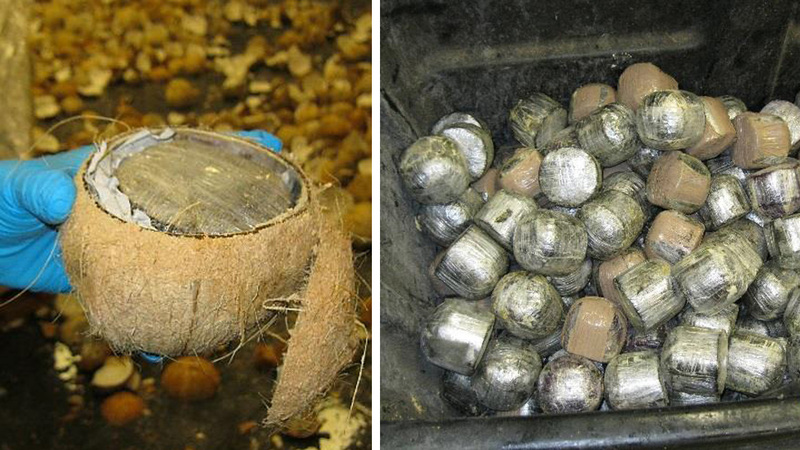 Investigators say the marijuana was hidden inside hundreds of coconuts in a tractor-trailer stopped at the Pharr International Bridge cargo facility. The drugs were seized thanks to the help of a canine team. The drugs have a street value of about $285,000.